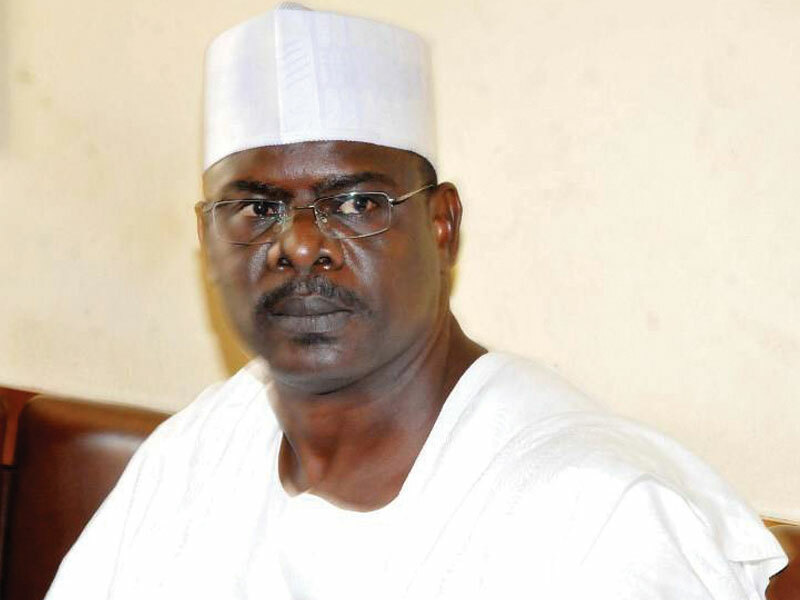 Former Senate Leader, Senator Ali Ndume, yesterday demonstrated his resolve to look his All Progressives Congress (APC) party leadership in the face, rolling out a nine-point agenda for the coveted office of Senate president he is vying for in the ninth Senate billed for inauguration in June. Ndume (APC Borno South), who is Chairman of Senate Committee on Establishment and State Services, had last week objected to the nomination of Senate Leader, Senator Ahmad Lawan, as the next Senate president by the APC leadership, saying the move was unconstitutional. Releasing his agenda for the 9th Senate presidency, Ndume, who has been in the National Assembly since 2003, promised to improve upon the performance of the 8th Senate, adding that he would make the Office of the Senate President less attractive by reducing the unnecessary privileges attached to it. 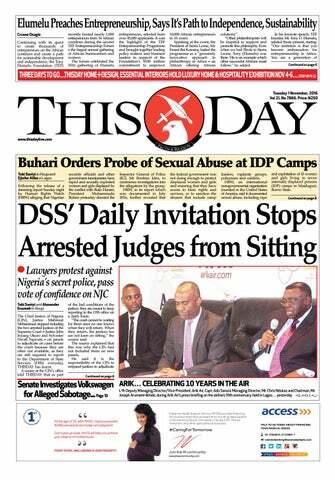 He promised to cooperate and synergise with other senators-elect with a view for the Senate to agree on timeline for confirmation, passage of bills especially the annual budgets, which he said will not exceed 90 days from the day of submission. Ndume also promised “to run the 9th Senate transparently through open accountability with full participation of all senators. 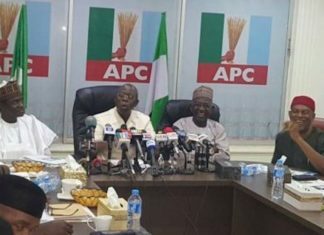 Meanwhile, a group of APC stakeholders yesterday staged a protest at the National Secretariat of the party in Abuja, demanding zoning of the House of Representatives Speaker to the North-central zone of the country. 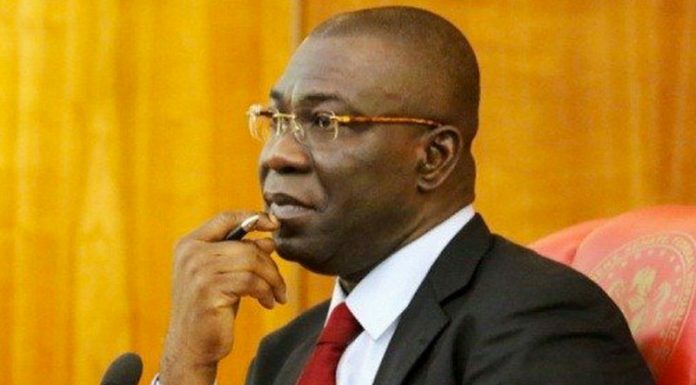 The group, under the auspices of North-central APC Ambassadors, in a letter dated April 1, which was addressed to the National Chairman of the party, Mr. Adams Oshiomhole, insisted that the zone should be given the opportunity to produce the Speaker of the House of Representatives as a reward for the 2.4 million votes it gave President Muhammadu Buhari during last presidential poll. 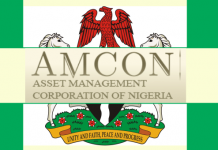 The letter was signed jointly by coordinators from five states and the Federal Capital Territory (FCT), including Mr. Muyideen Yusuf (Kwara), Ms. Rita Longjap (Plateau), Mr. Muhammad Ibn Muhammad (Niger), Mr. Lucas Cassius (Nasarawa), Mr. Yahaya Dauda (FCT) and Mr. Shehu Araga (Kogi). The leadership of the APC had openly endorsed Senator Ahmed Lawan from the North-east for Senate president and Hon. Femi Gbajabiamila from the South-west as Speaker of the House of Representatives. Also the National leader of the party, Senator Bola Tinubu, had declared his support for the Lagos State-born lawmaker, Gbajabiamila. 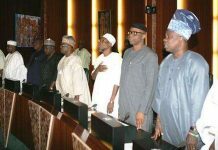 But the North-central group in the letter argued that since the North-west has the president, South-west has vice president and Senate president has been zoned to North-east, the speakership must be zoned to North-central. The letter reads in part: “North-central should be rewarded for its performance in the 2019 election. With 2.4million votes for President Muhammadu Buhari, North-central came third behind North-west and North-east. “Even though South-west has the VP, it didn’t perform as well as North-central in the last elections. So, who should be rewarded?